Autumn and winter are my two favorite seasons of the year. I love the cooling weather, the changing of leaves, the pumpkin treats that are in season, the togetherness that is fostered among families as the holidays draw closer, and dressing up for Halloween! Usually, something in the autumn atmosphere inspires me when I’m working on creative projects. Admittedly, I would enjoy this time of the year much more if I wasn’t bogged with exams to worry about. 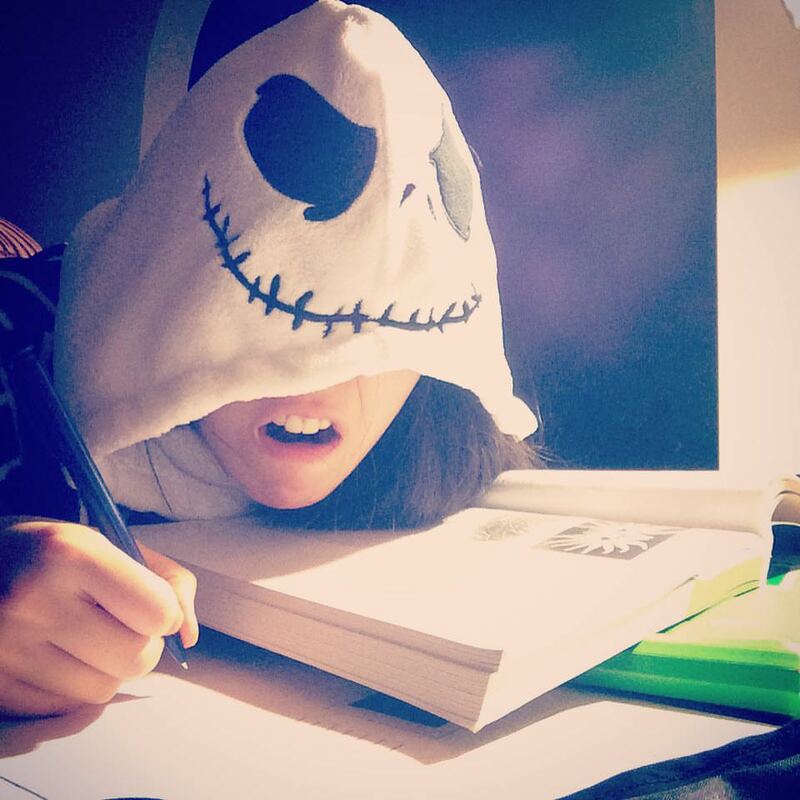 Studying in my Jack Skellington robe. *sigh* It’s been difficult to write lately with all the stress. Ever get that feeling of all these ideas building up in you, but everything comes out as garbage when you try to write or type things down? At tonight’s Halloween party, where everyone told a spooky story, I dressed up in my Doll cosplay (100% sewed by myself!) 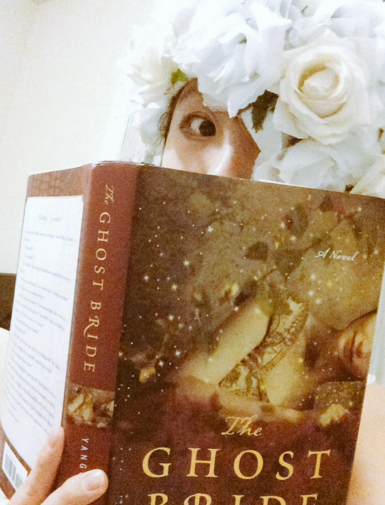 from Black Butler, and read aloud an excerpt from my copy of Yangsze Choo’s The Ghost Bride. In non-writerly news, was just published in the Halloween issue of PUMP Magazine. 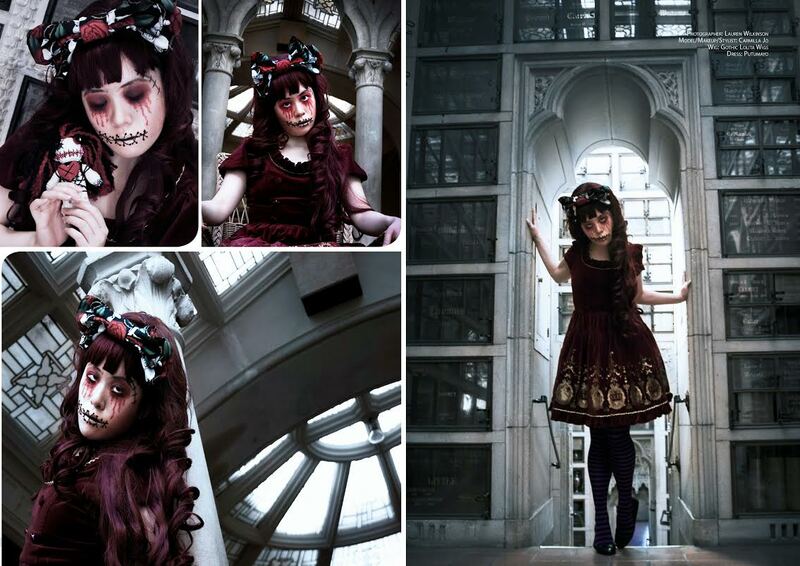 The makeup and styling was all by me. I bought the Putumayo dress when I was in Harajuku two years ago, sewed the bow, and bought the voodoo doll pincushion from Etsy.